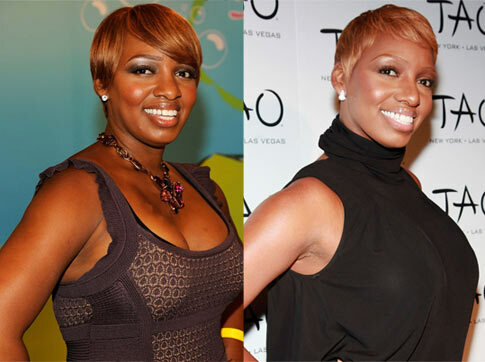 Nene Leakes before and after nose job plastic surgery. Well for starters, she was the focus of an obvious yet unconfirmed plastic surgery makeover for quite some time, that is until she spilled the beans while being interviewed by People magazine, last month. That's right ladies and gents, Ms. Leakes finally came clean about her plastic surgery check list, which included a nose job, liposuction around the waist, and the downsizing of her breast implants from DD to D, plus a lift. I'm very comfortable and confident in myself. I just wanted a tune up. I still wanted to look like NeNe, the black woman that I am, but a better version. 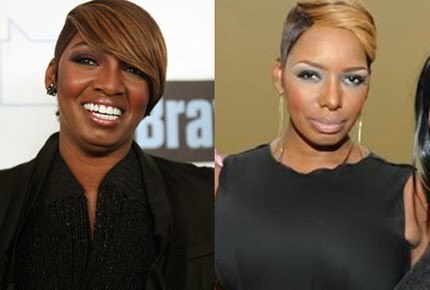 So without further ado, please welcome the new "better version" of Nene Leakes! And with that being said, Nene Leakes' nose job has transformed her into a new person. Good or bad? You decide. Well at 1st i liked her old nose but now that i see it up close in think she did the right thing because her nose was Fat & Gressy lookin.lol. but her new nose looks LONG AS HELL.lol but still love ya HOLLA! That looks like that Kardashian with tan. Disgusting!